BBC NEWS | Business | Britain's Most Admired? Based on a survey of thousands of managers and investment analysts, Management Today has named Diageo as Britain's Most Admired Company for 2008. Not only has the drinks giant won the overall prize, it has been ranked in the top five of all British companies in seven of nine separate categories, including quality of management, quality of products, and ability to attract, develop, and retain top talent. By all appearances, a remarkable achievement. But a closer look suggests a different story. Diageo's financial results have been excellent, with revenues and profits up sharply. But can it be that Diageo is now among the top five British companies in seven individual categories, when it had not been among the best for a single category just last year? Did the company really improve so dramatically in every one of these ways? Diageo now ranks at the top for quality of goods and services. But are its products of a higher quality than a year ago? 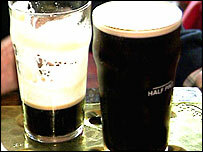 Surely not - Guinness, Smirnoff, Johnnie Walker, Baileys, and Tanqueray are exactly the same! The quality of products has not changed a bit - but the perception of quality has improved thanks to strong financial performance. Or take another category, the ability to attract, develop and retain top talent, where Diageo again ranks number one. The company's chief executive officer and chief financial officer have been in their positions for eight years, and many other top directors for about as long. Did it really get so much better at managing top talent over this past year? Highly unlikely. A better explanation is the halo effect. Thanks to strong financial results, Diageo now enjoys a halo whose aura extends to just about everything it does. Dazzled by the golden glow of growing revenues and improved margins, managers now perceive Diageo as better across the boards. The result is an eye-catching cover story, but one based on flawed conclusions. Nine separate categories, with data scrupulously analysed to create an overall winner? Not at all. Studies like this do little more than capture perceptions shaped by financial results. That does not detract from Diageo's overall performance, but should allow us to see the Management Today nine categories for what they are - highly correlated and based on a single overall impression. Not nine ratings, but one rating expressed nine times. And what about last year's winner, Marks & Spencer? 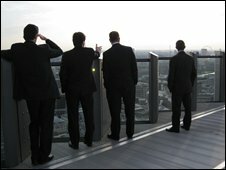 In 2007, it was rated among the top five British companies for every one of the nine categories, and was number one in five. Just one year earlier, it had been ranked 17th overall and not among the top five in any category. 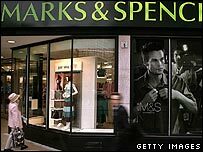 But thanks to excellent financial results engineered by CEO Stuart Rose, in 2007 Marks & Spencer stood at the summit. Could a company really go from nowhere to the top group in every one of nine separate categories? A wonderful story, but highly doubtful. Now, amid falling performance, M&S has dropped all the way to 29th and crashed out of the top group in seven of the nine categories. Did M&S suddenly get worse in so many different ways? A more reasonable explanation is that Marks & Spencer has lost its halo. When times were good, managers perceived it to be excellent, and when performance faltered, managers saw it differently. The halo giveth, and the halo taketh away. There are solid ways to measure such things as quality of products and services, or ability to attract and retain talent, but asking peers to tick a box is not among them - we are likely to capture the glow of the halo effect. Professor Rosenzweig is the author of The Halo Effect: How Managers Let Themselves Be Deceived. The halo effect will be discussed on BBC Radio 4's More or Less on Friday, 5 December 2008 at 1330 GMT (repeated on Sunday 7 December at 2000 GMT). To subscribe to the podcast or listen again, visit the More or Less website.